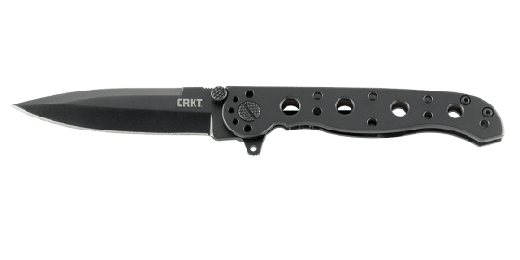 Inspired by the M16® tactical knives, this is a straight up “no frills” folding EDC version of the legendary military knife. It claims victory over any day-to-day chores. 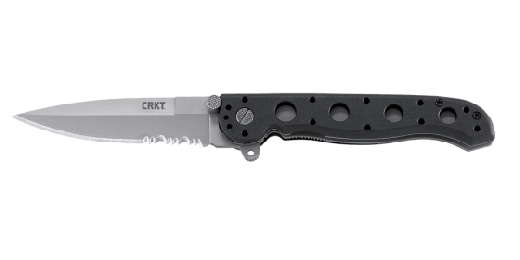 An open build frame, stainless steel handles, and the signature Carson Flipper are ready for the field, home, or wherever the blade is deployed. Designed by retired Sgt. 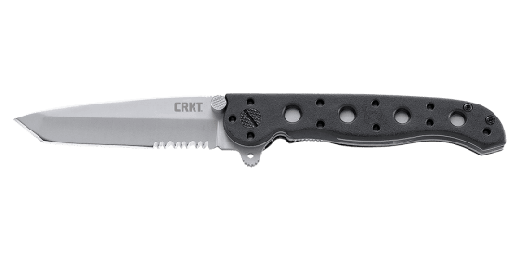 Major Harold “Kit” Carson of Vine Grove, KY, the M16®-10S features a lot of the same DNA as the M-16® tactical folding knives but in the tough stainless steel (SS) handle variation. 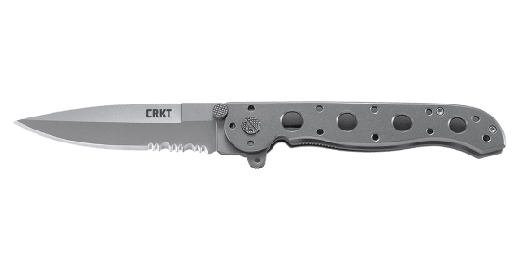 When duty called for a proven knife design platform made simple, tough and affordable, this was Kit’s answer. 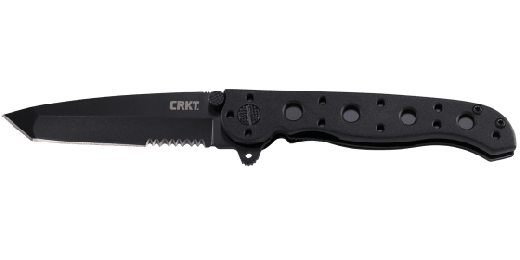 A knife you can use every day, it comes equipped in both plain edge and Triple-Point™ Serrations, similar to our "Big Dog" M16® tactical models. The result is maximum blade strength and ability to saw through cord, webbing, nets or vegetation quickly. Not to mention the occasional letter from the mailbox. The blade opens easily when you need it most. Just put your finger on the Carson Flipper. Flick your wrist. Then it all locks into place with a traditional frame lock mechanism. The flipper even doubles as an effective blade guard in the open position. Safety on? Check. 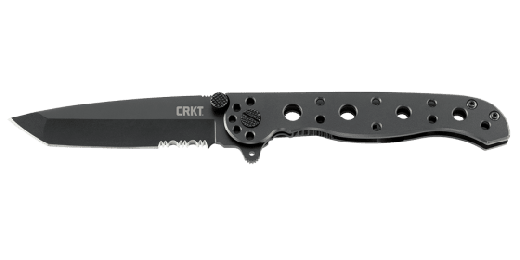 When it comes to the handle, the M16®-10S is a like a twin to the other M16® knives. Yet this is the stainless steel brother who likes a more classic style. With a standard removable stainless steel pocket clip it’s ready for transport—even if it’s just to the remote reaches of the garage.